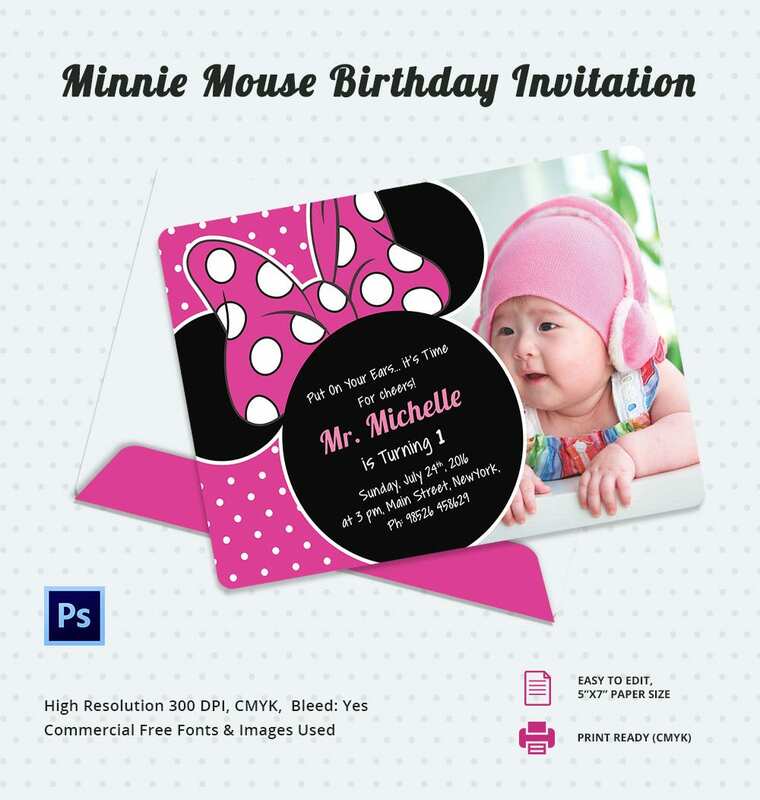 These types of cards which are available in psd, pdf and word etc. 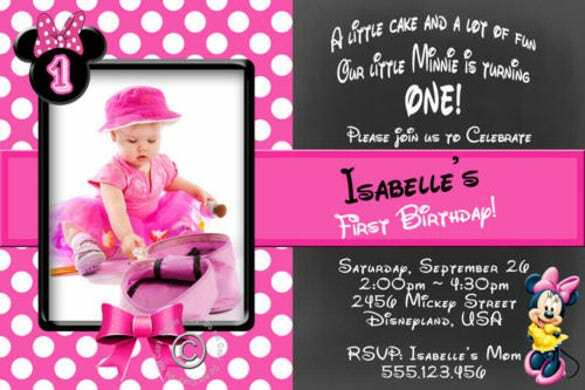 formats just perfect for baby party to celebrate your daughter’s first or second birthday. 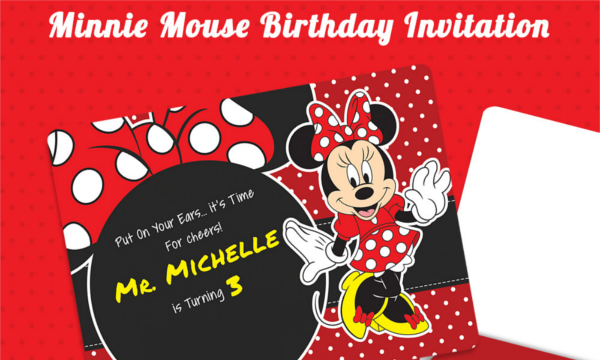 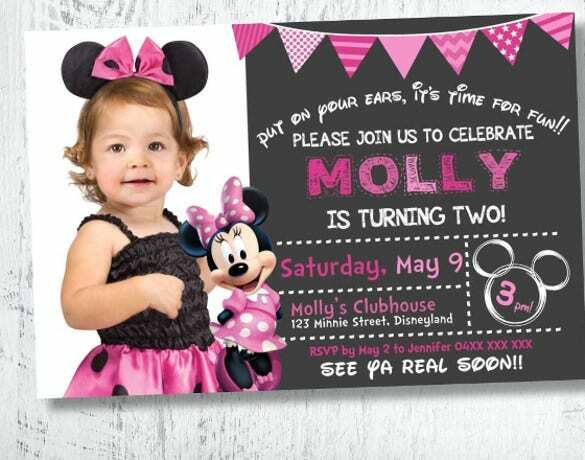 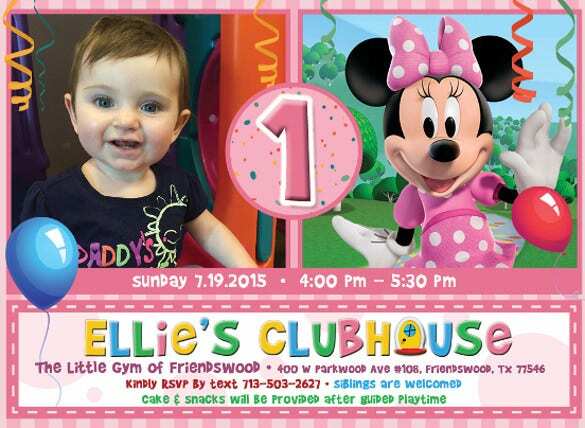 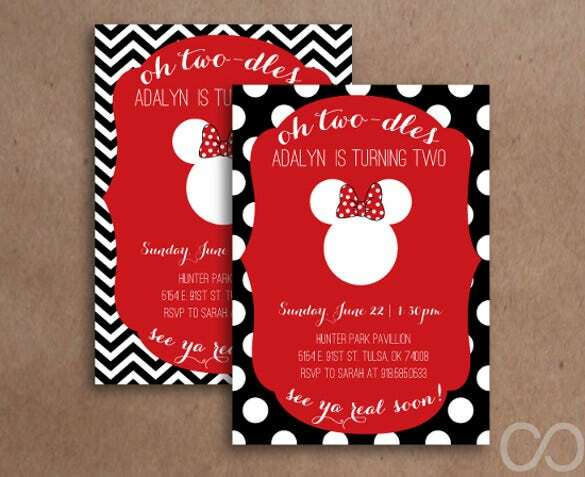 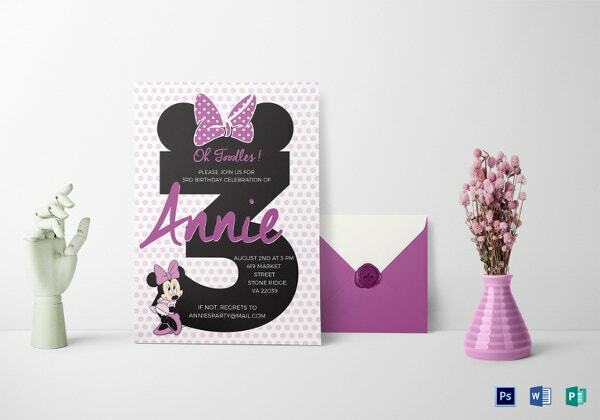 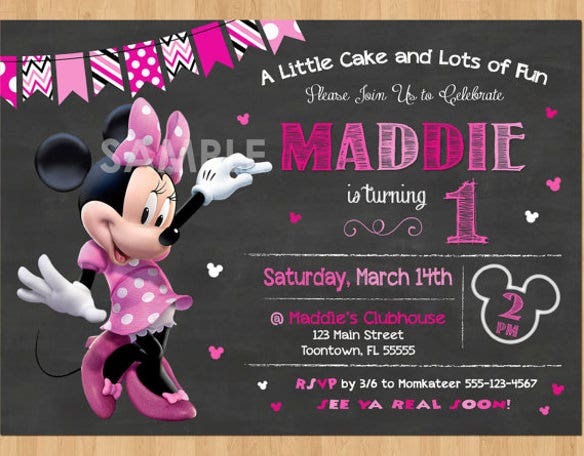 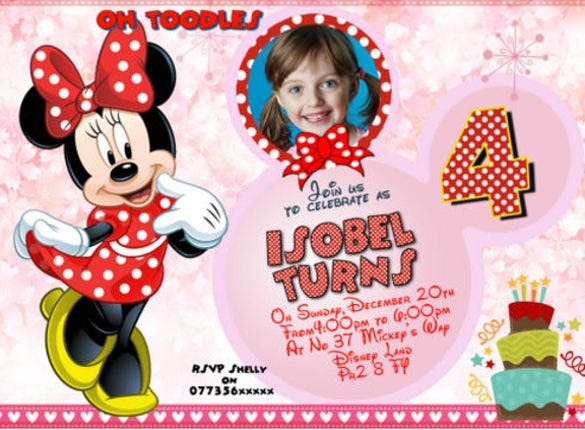 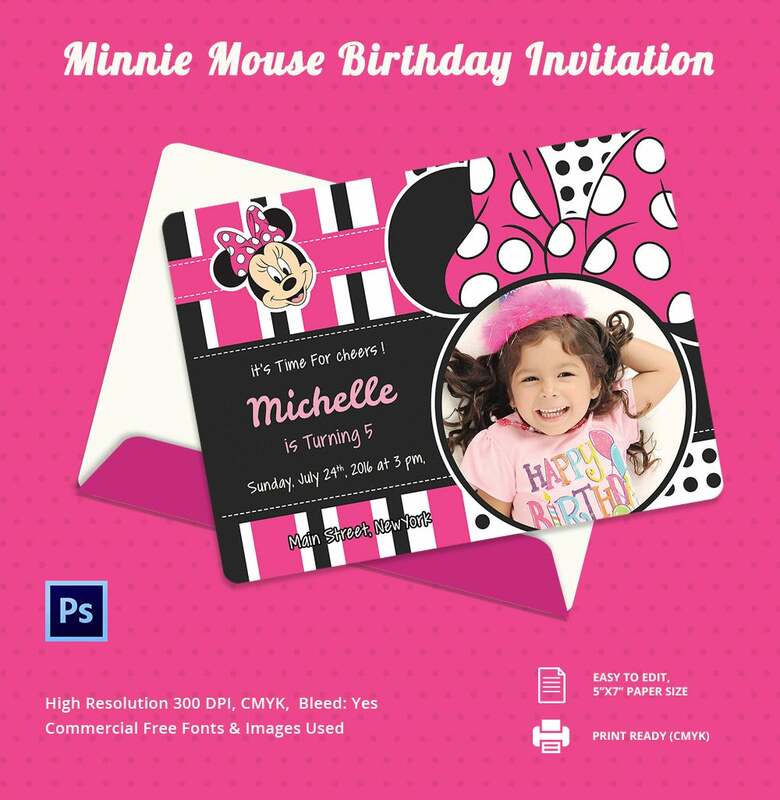 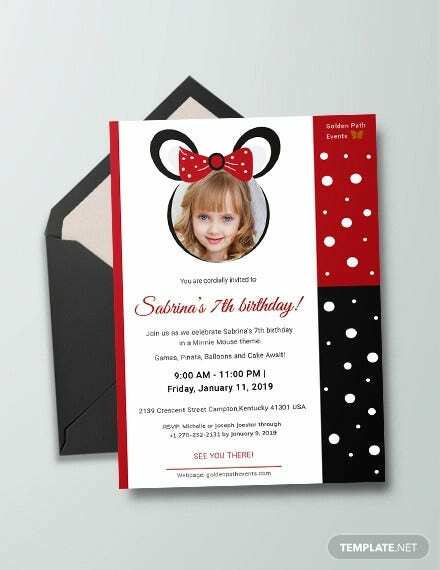 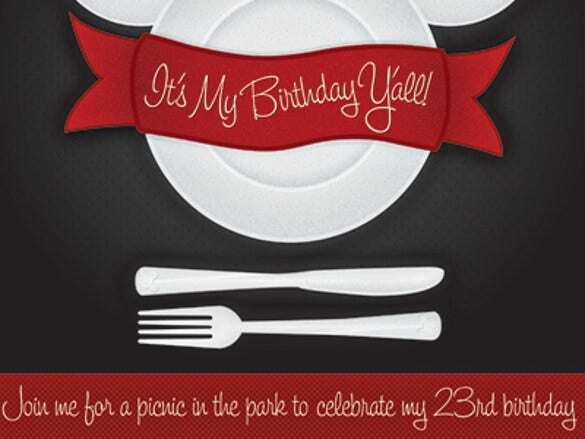 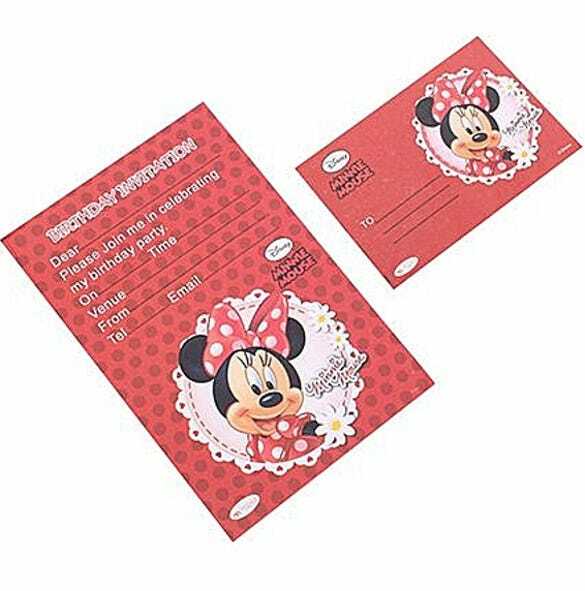 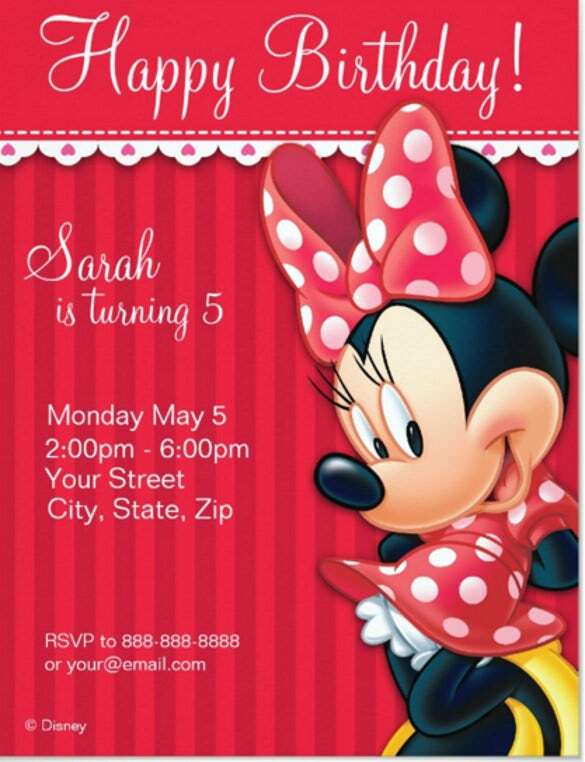 Minnie mouse Birthday Invitations are designed with Minnie mouse theme on the invitation cards. 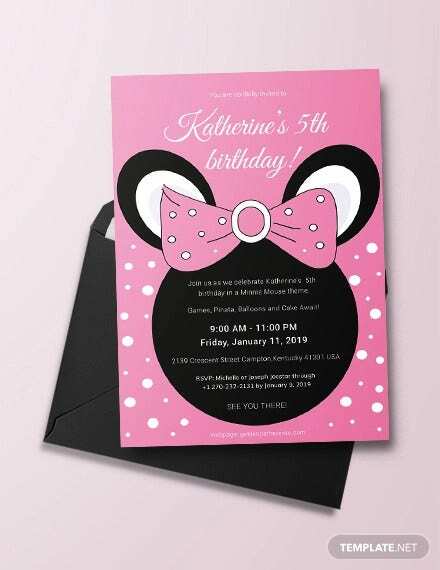 The color combination of the cards should be restricted within pink, white and black. 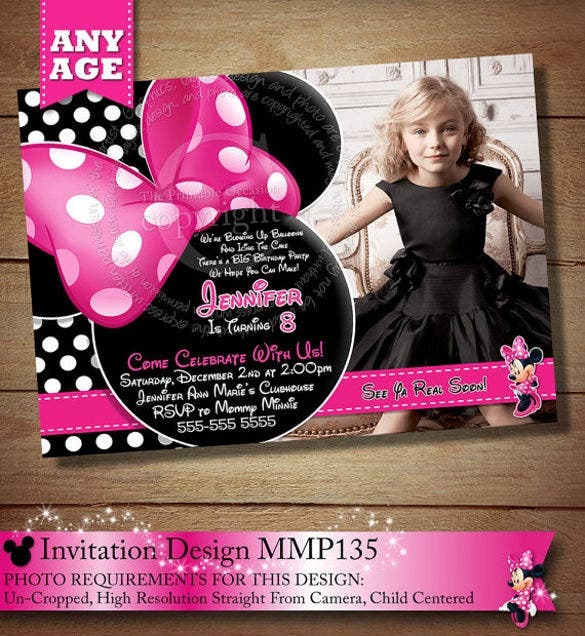 It looks pretty good if the invitation template is printed on black in pink back ground. 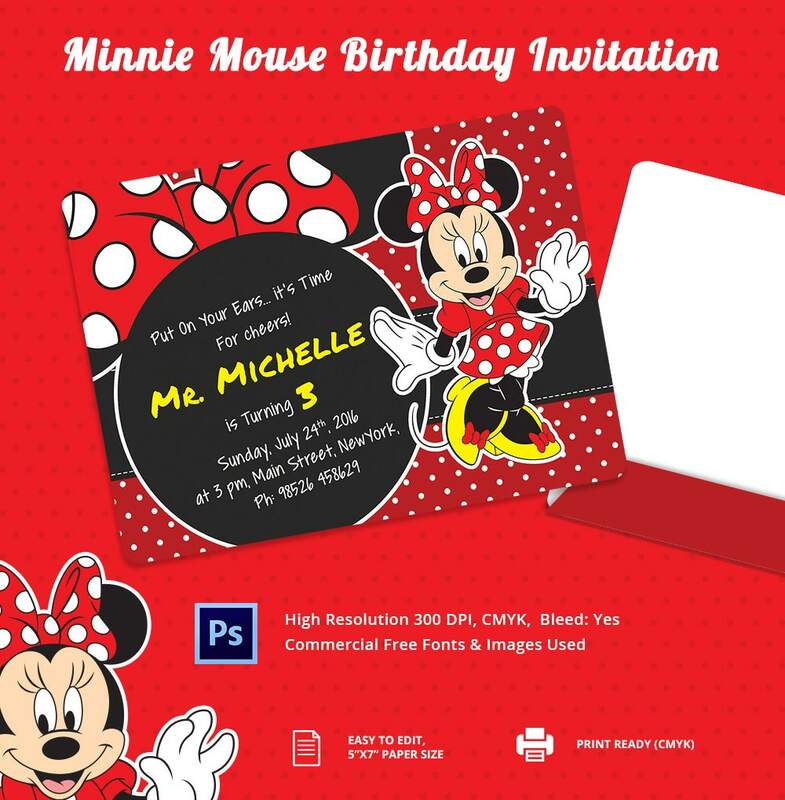 The Minnie mouse theme should be the pivotal and written part in the Invitation Card should be very short but descriptive. 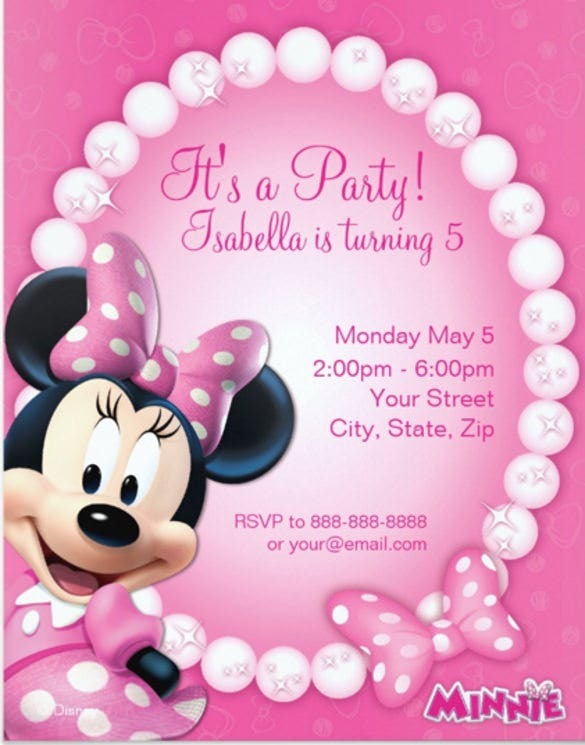 It looks very hearty if the invitation is written like your daughter is inviting her friends. 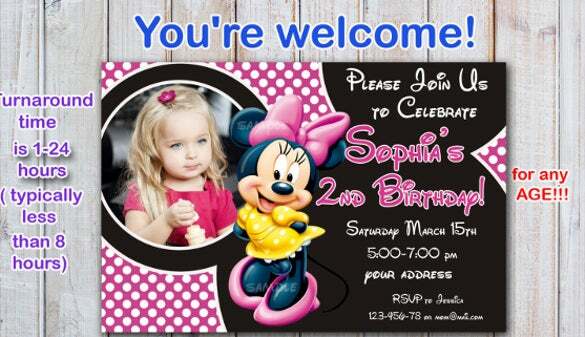 Venue of the party, time and date should be written mandatorily.